Iridescent with red walls and fairy lights, The Firefly Eating House and Chai Bar is housed in a charming original 1906 Knysna tin mining house on the Knysna lagoon with a view of the famous Knysna Heads. 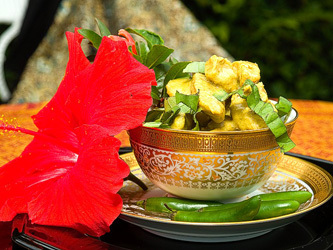 The 'Eating House' explores the complexity of spice, and the 'Chai Bar' explores the subtleties of tea.Their irresistible spicy food draws inspiration from around the globe. 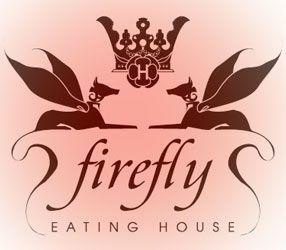 Firefly's top dish is the Cape Malay bobotie spring rolls with a mint chutni; and the spice tea latte wins as top tea. Try a Firestarter like the orange and ostrich spring roll with a Juniper berry dip followed by smoked berbere beef with quail egg, served with apricot and mint couscous. Berbere, a key ingredient in North African cuisine, is a spice mixture which usually includes chillies, ginger, cloves, coriander and allspice. Of course dinner at Firefly wouldn't be complete without sugar and spice. Highly recommended is the saffron and cardamom basmati rice cream. The warm welcome and dreamy surroundings were perfect for our family reunion. And the prawn curry was to die for! 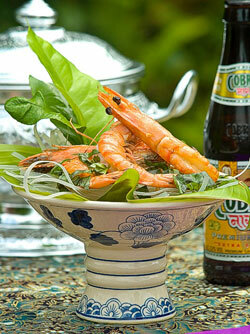 Firefly Eating House is 2.2km from the centre of Knysna , the nearest airport 71.8km (George Airport).